You must have heard the famous phrase " When You Realize That You Have Made A Mistake Take Immediate Steps To Correct It ". You must be wondering what does this mean. 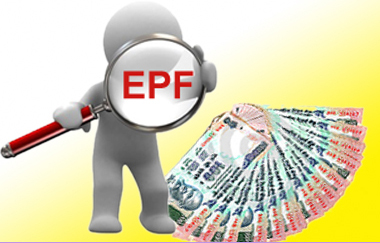 You may be thinking that you know all there is to know about the employee provident fund. " Knowledge Is Like A Well Which Never Dries Up ". The more you drink of it the more there is to drink. You can definitely fill up the gaps in your knowledge of the Employee Provident Fund. Care To Do So? The team of Financial Planners at IndianMoney.com are always there for you to plan your financial needs in a most effective and efficient manner. You can explore this unique Free Advisory Service just by giving a missed call on 022 6181 6111. Is A Nomination Facility Available For My EPF? Yes a nomination facility is available for your employee provident fund. You must be knowing that in the event of your death your nominee would receive this amount. You need to take care to see that the names of the nominees are filled in a proper manner. This is very necessary to avoid hassles when there is nothing you can do about it. There is a form called form 2 which you can fill up in case you want to change your nominee or even update information about your nominee. However you cannot nominate your brother for your employee provident fund. What Happens If You Withdraw Your EPF On Quitting Your Job? You must be knowing that on withdrawal of your employee provident fund you would get 100% of your side of the contributions mainly the 12% employee side contributions to your provident fund with compounded interest at the rate of 8.5%.You must be wondering what would happen to your employer’s side contributions to your provident fund?.The employer’s side contribution of 12% on your employee provident fund is divided into 2 parts namely the Employee pension scheme at 8.33% and the Employer provident fund at 3.67%.The contribution made by the employer to your EPF at 3.67% is available to you with compounded interest. No interest is paid to you on your employee pension scheme which you can withdraw when you quit your company. Let us consider that you have a basic salary of INR 10000 per month .Do you think your employer would contribute to your employee pension scheme at the rate of 8.33% on your basic salary of INR 10000.The upper limit for the contributions to the employee pension scheme is up to INR 6500 or INR 541 per month .So even if you earn more than a basic pay of INR 6500 your employer would contribute 8.33% only on your basic salary up to INR 6500.You are liable for pension under the employee pension scheme only if you have completed 10 years of service and you cannot withdraw your EPS after 10 years of service but only transfer it. Let us consider the following case so that you can understand how the EPS is calculated at the time of you quitting your organisation. Mr Raju has a basic salary of INR 9000. He works for nine years with XYZ Containers and then withdraws his EPS. Mr Raju EPS is calculated at the rate of 8.33% on INR 6500 or INR 541 per month. Mr Raju works for nine years with XYZ Containers. The EPS Calculations are INR 6500*9.88=INR 64220. (Here 9.88 coincides with 9 years shown in the table below). No interest is provided to Mr Raju on his Employee Pension scheme. If Mr Raju does not withdraw his EPS and continues his EPS with the new organisation he joins he cannot withdraw the EPS beyond the tenth year but only transfer these amounts. If he does so Mr Raju is eligible for pension at the age of 58 years. The cap or the maximum amount of pension he draws would be INR 3250 per month. What If My Employer Does Not Help Me To Withdraw My Employee Provident Fund? You must be knowing that withdrawing of your employee provident fund is not allowed as per government rules unless you are unemployed for more than two months. You can only transfer your employee provident fund. However withdrawal of the EPF is the done thing and even though it is illegal according to the law to withdraw your employee provident fund the EPFO rarely tracks such withdrawals .But What If I Have Fallen Out With My Boss? What If I Have Left Without Serving My Notice Period? Is There A Way Out Of This Problem? You will have to download and fill up the Form 19. You would have to enter Your Name, Fathers name, Name of your establishment, Account Number, Date of leaving service, Reason for leaving service, Your full postal address, Mode of remittance mainly through a money order in case of remittances up to INR 2000 and for higher amounts you would be paid through a cheque, Contribution for the current financial year, Signature of the member, Attestation by your employer, gazetted officer, the manager of a PSU Bank where you hold your savings bank account or any other as specified in the form. You then have to sign the advance stamped receipt. You have to download and fill the Form 10 C.
You would have to get the Form 19 and Form 10 C attested by a gazetted officer, PSU Manager of a bank where you hold your savings bank account, Magistrate, Member Of Parliament, Member Of Legislative Assembly, Sub post master and any other as specified. You will then have to write a letter to the regional PF Commissioner stating the reason why you have to get the Form 19 and Form 10 C attested and that you are facing problems with your employer. You have to make an affidavit that proves that you are unemployed on an INR 100 Stamp Paper. You would then have to get it attested by a notary .If you are unemployed you can withdraw the amounts in the EPF and if you are employed you can transfer these amounts to your new employer. You will have to send all these attested forms to the regional EPF Office and your withdrawal request will be honoured..If this process takes too long you can file a RTI application at the EPF Department. Can I Withdraw My EPF If I Am Still Working? You can withdraw your EPF for your marriage, your children’s marriage, or your sibling’s marriage or even your education or your children’s education up to an amount of 50% of your contribution after completing a minimum of 7 years of service. This is permitted thrice during your working tenure. You may have to submit your wedding invitation or your siblings or children’s wedding invitation.You have to submit the proof of education in case you withdraw the amount for your education. You can withdraw up to six times your monthly salary or the total corpus amount whichever is lesser for your emergency medical treatment as well as that of your spouse, children or dependent parents. You have no restrictions regarding the years of service. You need to show proof of hospitalisation along with your leave certificate for that period from your employer exceeding a period of a month. This could be for major medical conditions such as stroke, cancer, heart attack and so on. There is no limit on the number of times you can avail of this service. You can construct or purchase a house or flat using funds from your employee provident fund up to 36 times your monthly salary after completing five years of service. Your house should be in your name or the name of your spouse or jointly owned. You can avail of this service once during your working tenure. You can purchase a plot up to 24 times your monthly salary using funds from your employee provident fund once during your working tenure. Your plot should be in your name or the name of your spouse or jointly owned. Your plot should not have any legal issues and should be registered under the Indian Registration Act. You can avail of this service once during your working tenure. You are eligible to withdraw funds from your employee provident fund up to 36 times your monthly wages provided you have completed 10 years of service for taking a home loan.. Your house should be in your name or the name of your spouse or jointly owned. You can avail of this service once during your working tenure. You are eligible to withdraw funds from your employee provident fund up to 12 times your monthly salary for renovation and construction work once during your working tenure. Your house should be in your name or the name of your spouse or jointly owned. I would like to end this article with the famous phrase " Success Is the Sum of Small Efforts Repeated Day in and Day Out ". Always make an effort to learn all about the employee provident fund so that you can utilize this facility to the utmost.